There’s no question about it. 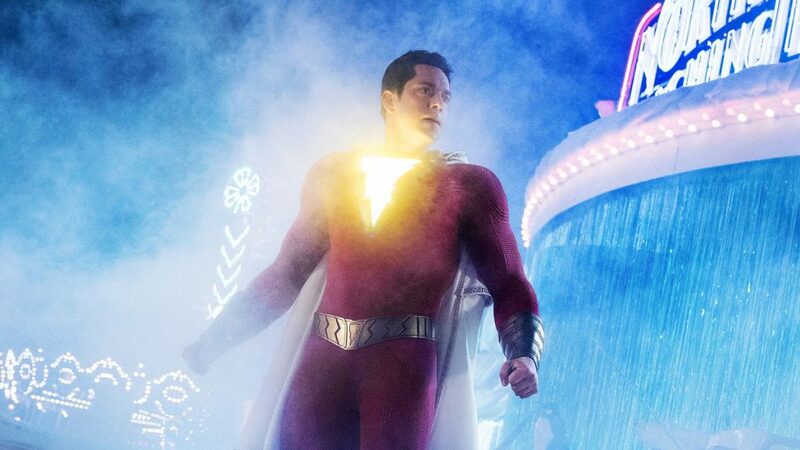 Zachary Levi is the perfect Shazam and was born to play this role. Levi was funny and very convincing in making you believe that he really was a 14-year-old kid stuck in an adult’s body. His performance was reminiscent to that of Tom Hanks’ Big (1988) or it may remind you of the more recent Jumanji (2017) film. 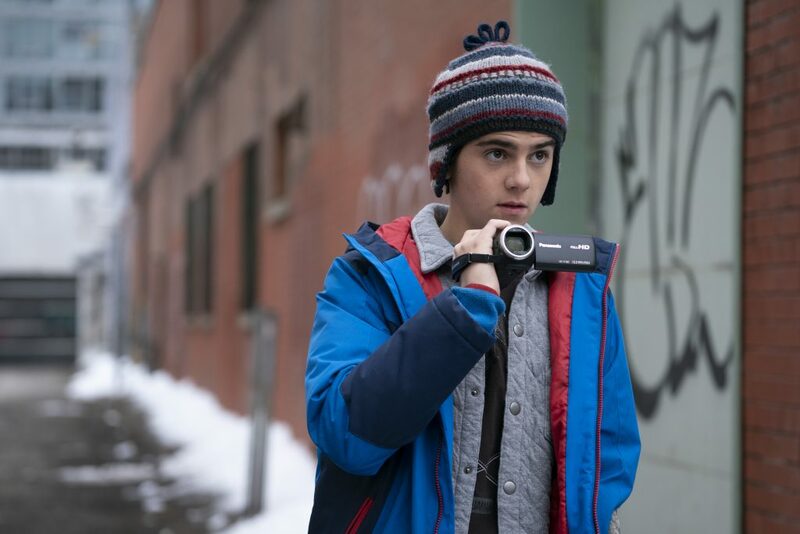 His on-screen chemistry with the supporting cast, such as Jack Dylan Grazer who plays Freddy, was very entertaining especially during the scenes showcasing their back and forth banter. Another solid performance came from the ever-reliable Mark Strong as “Dr. Silvana”. He was a very effective and menacing villain that posed a worthy challenge to that of Shazam. Thankfully the writing for this film didn’t reduce his character in being a mere “mirror villain” where his powers were just a reflection of the main hero’s powers. 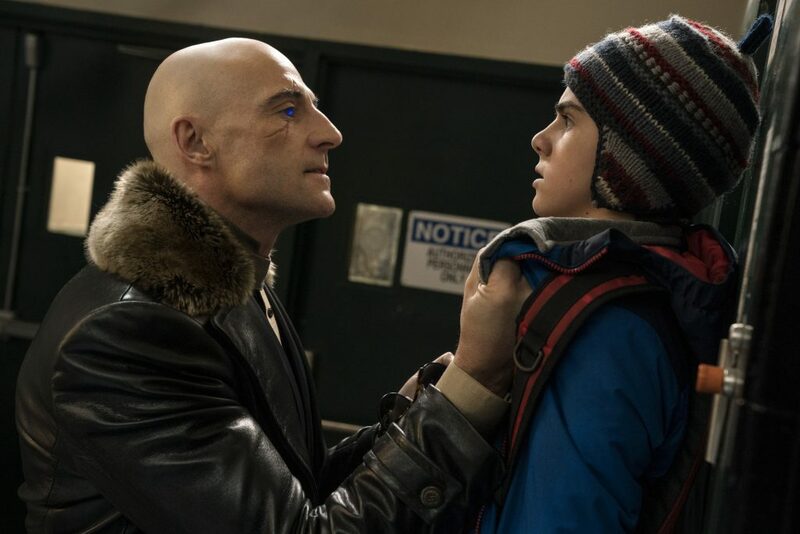 The bit of variance assigned to his powers was just enough to pose a legitimate threat to Shazam, which is essential for building up any hero in a superhero movie. One of the absolute best aspects of Shazam! is the tone of the movie. 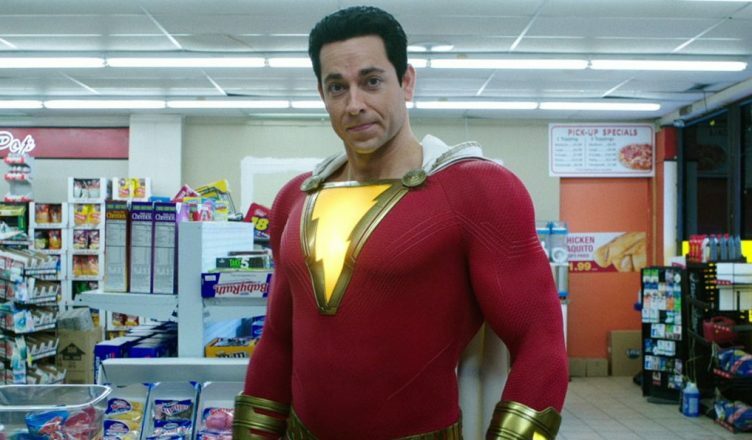 For the most part, the fun tone of the movie is in perfect alignment with the character of Shazam. While the movie is mostly entertaining and light-hearted, it still manages to introduce some touching and heartfelt moments with its drama. Despite having some darker moments, Shazam! doesn’t fall victim to sacrificing the effective fun nature of the film just for the sake being dark. Another element that supports the tone of the movie is the very plot itself and the writing. The story was pretty easy to follow and stayed true to the heart of its comic inspirations. Best of all, the movie doesn’t fall apart in the third act like other superhero films. The cinematography worked very well by not going overboard with the special effects. We got some nice slow motion action sequences along with some high speed shots. There wasn’t any wonky CGI, and the pacing along with the editing was executed well. It was also a nice touch to add in some more modernized elements into the story such as including the presence of social media. 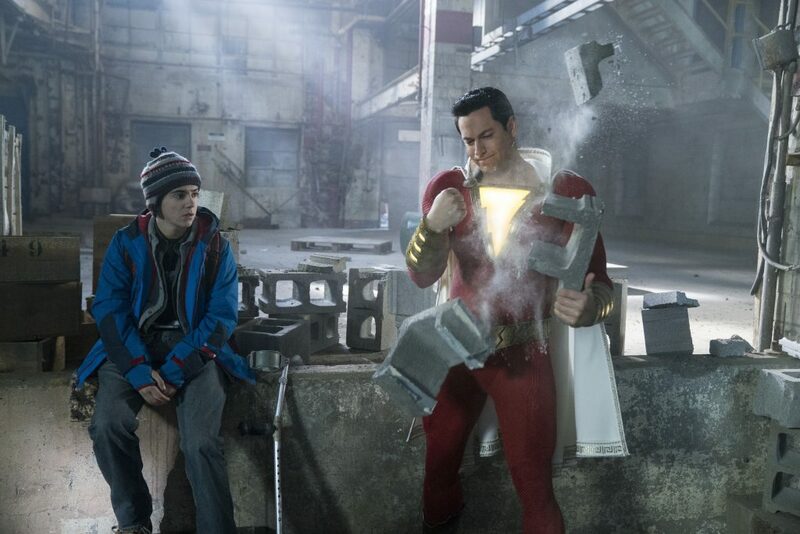 It was interesting to see how the effects of social media status would assist in moving the plot forward and shaping the character of Shazam as well. When it comes to Shazam the character, he was essentially DC’s version of Deadpool. He wasn’t breaking the 4th wall the way Deadpool does, but in the same jovial sense, he played on classic superhero movie tropes. 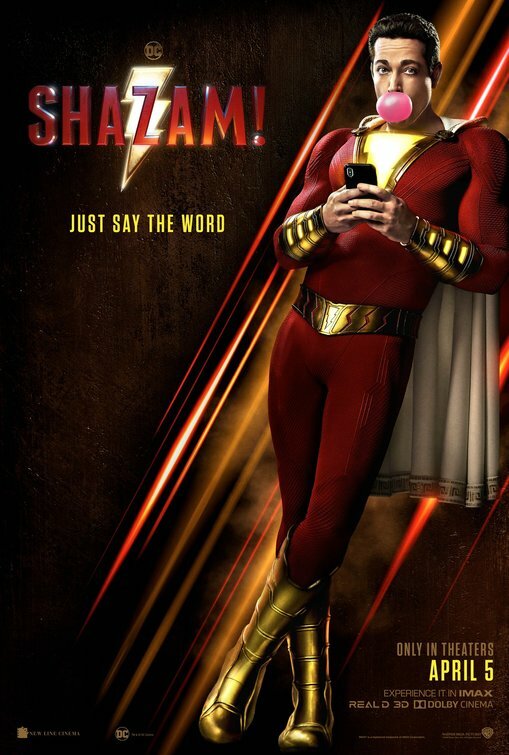 That in itself makes the character of Shazam much more relatable and makes audiences feel as though we’re in on the jokes too. Infusing that level of humor into the character made scenes where he learns about his superpowers very entertaining to watch. Thankfully Shazam’s character wasn’t only about jokes and superpowers. The movie setup Shazam to have some thorough character development. Most of that was made possible due to the themes played throughout the film that centered around family. I thought it was quite interesting to see how the concept of family played an integral role in many of the characters in the film, and yet the characters still end up being affected in different ways. 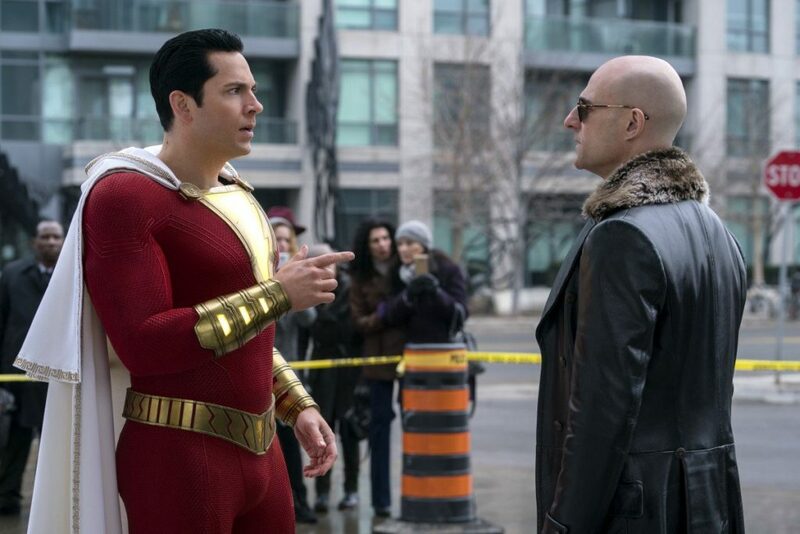 Well, there are a couple of minor knocks against Shazam, and one of them is that the movie is rather predictable. The plot telegraphs a number of outcomes in the movie that won’t really leave many surprises when it comes to the ending. Luckily, the movie is entertaining and humorous enough where it doesn’t really matter whether you can predict the ending or not. While most of the performances in the film were satisfactory to good, Jack Dylan Grazer’s role as “Freddy” simply didn’t do much for me. His fast-talking, wise-cracking character felt a bit stretched and the comedy was hit or miss. It just felt like the movie wanted him to be a bigger factor, but in all honesty, I was ready to just see more of “Billy” and/or Shazam on screen. Grazer didn’t give a terrible performance, he just felt like the weakest among other solid ones. Shazam! is the epitome of a fun superhero movie that is sure to provide an audience with a fun time. As I mentioned before, the tone fits so well that it doesn’t feel forced. Forcing the “Marvel fun” into a movie (ie: Suicide Squad) was always a misstep for Warner Bros and DC comics. However, by letting this movie stay true to the nature of the character, Shazam! is free to have a unique voice of its own. As a matter of fact, this depiction of Shazam makes me actually want to see how he would interact with the rest of the Justice League even more now. I know one question some people may ask is, “Where does Shazam rank among the other DCEU movies?” Personally, I think there’s now a three-way tie with both Aquaman and Wonder Woman. Each of those three movies does something unique on its own that makes it standout on top for DC. Wonder Woman was a solid film that showcased female empowerment that was true to the character. Aquaman threw so much stuff at us that, even with its flaws, it was still entertaining to watch. Shazam! is a true to form, fun movie that’s put together pretty well. One thing I should mention, especially for parents, is that the marketing for this film is rather misleading. There are some scary moments in the film that I believe are not really suitable for small or really young children. Shazam! is a true PG-13 film with some swear words (mainly the S-word) and some gruesome violence (without blood). It’s following in a similar direction as the recent Venom film. Nevertheless, feel free to catch Shazam in theaters as soon as it comes out. Be sure to stay until the end because there will be two post-credit scenes. Shazam! is in theaters April 5th, 2019. Be sure to follow E-Man’s Movie Reviews on Facebook, Subscribe on YouTube, or follow me on Twitter/IG @EmansReviews for even more movie news and reviews!